This adorable 7.5" Oogles Brown Bear Stuffed Animal would make the perfect gift for friends, family, and loved ones. 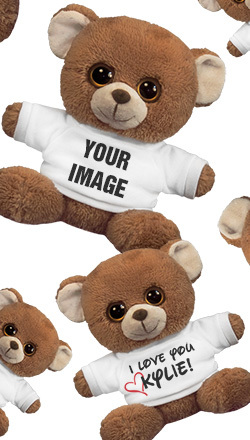 With a cute message or saying on the t-shirt, it adds a personal touch! Cuddle up with this cute small teddy bear. Great for birthdays, Valentine's Day, promposals, and other holidays or special events!